We are pleased to offer members the following range of clothing from Initially Yours. 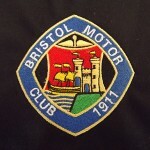 Each garment will have the Bristol Motor Club badge embroidered on it in full colour. It measures 75mm across the points; the version embroidered on caps is correspondingly smaller. This is an ideal opportunity to use your BMC Reward Points. The range of available colours is so large that it’s almost impossible to show them all here. Also the sizing varies between garments, so for detailed information on the particular item you are interested in, please consult the general catalogue on the Initially Yours website. Enter the product code at the foot of their Directory page to go to the garment of your choice. Browse the BMC Clothing catalogue (it will open in a new page) at your leisure and select the items you want to order, making a note of the product name and code. Then email details of your order to Jill Hemmings, quoting the product code, and size and colour required. Prices are currently under review – please email Jill if you wish to know the cost of an item. If you are unsure about the size you need, please email Jill – if you’re in the Bristol area you may arrange to try on your garment before the badge is embroidered on it. Other items in the catalogue may also be ordered with the Bristol Motor Club logo embroidered on it – women’s and children’s clothing for example. Please contact Jill who will be able to advise you of the price of anything that takes your fancy.